This conversation was not programmed for WOW Festival Melbourne, but instead was recorded separately a few months after the festival had ended, amidst the news that Jade had won this year’s Sidney Myer Creative Fellowship and would be leaving FCAC at the end of 2017. 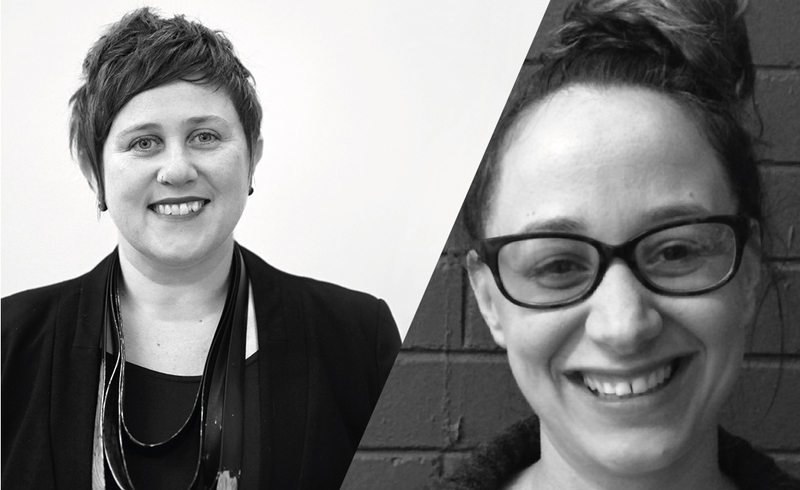 We jumped at the opportunity to speak with these two leaders, crucial in the running of FCAC and in shaping the community arts space in Australia. It is an intimate conversation, a reflection on practice informed by years of conversations and collaboration, and a deep, informed closure to a season of uncompromising conversations – a season which, in this year of shocks and instability, has so often grounded us in what really matters. Jade Lillie is a recognised leader in community arts, with a practice grounded in the philosophy that arts and cultural development can bring about systemic change when there is sound engagement with social justice frameworks. After years of work in government and non-government agencies, in Australia as well as South-East Asia, Jade’s practice has been recognised with numerous prestigious awards – including Sidney Myer Creative Fellowship. Lydia Fairhall is the Head of Programming at Footscray Community Arts Centre. Starting out as a singer/songwriter, she has worked as a writer, academic, cultural community development worker, festival and event producer, and has worked in a variety of settings, including in family violence and suicide prevention, housing, dance, music, theatre and comedy. Colleagues, friends, changemakers and community builders – Jade and Lydia sat together in the Footscray Community Arts Centre where they have both worked for years to delve deeply into their practice, their work at FCAC, and what it means to belong. what is home after two centuries of displacement?, Stolen Generations, the logical family, sphere of influence, doors that open are twofold, John Howard, lineage, Queensland as the canary in the Australian political coal mine, being homeless but not knowing it, glass ceilings, James Baldwin, big fat asterisks, being a queer woman, dismantling privilege, Buddhist nuns that take us under their wing, righteous anger, decolonisation and breaking bread, hope and solidarity, and how theatre is a vehicle of social justice. This was the last episode of season five of Audiostage, in which we looked at belonging through the eyes of women. It was created in partnership with Footscray Community Arts Centre as part of WOW – Women of the World Festival Melbourne, delivered in association with Southbank Centre London. Audiostage is a labour of love, created by Jana Perkovic and Bethany Atkinson, while the music for this season was created by Louise Terra. We hope you enjoyed it. See you in the next year.